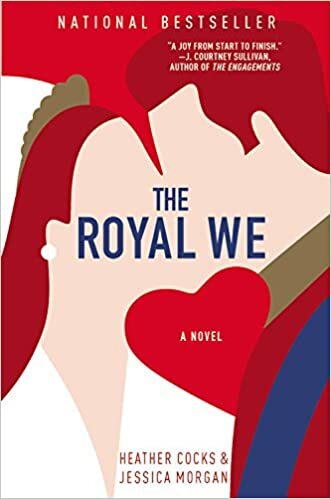 So this book is basically Kate Middleton fan fiction… and I was 100% on board. I got so into this story that I did not want to get out of my car! The story spans the entire relationship of the American, Bex, and the future King, Nick. We see them as friends at Oxford, we see them start to date, we see them break up, make up, and the book ends as they are getting married in the public eye. OR DO THEY!?!?!?!? Dun dun DUNNNNNNN! No spoilers. While being a really fun literary ride with drama and love and quite a few surprises (yes, I did say “whaaaaaaaat?!? !” and “ohhhhhhh no!!!!! !” out loud while listening in my car), it actually made me think about Will and Kate in real life. She didn’t expect to fall in love with him, this wasn’t the life she signed up for, and it was all so different- that must have been such a lot to get used to! What went on behind the scenes? Was there that much/any drama with the royal family getting used to Kate being around? When they were broken up- that must have been so hard for her to still be in the spotlight! I often just think “oh she is so pretty and and princess and how lucky is she!?!? !” but really, there are probably a lot of really hard and really lonely moments in that life, especially before they got married. And it makes me love Kate Middleton even MORE!!!!!! So to sum it up- this book was 100% a guilty pleasure read/listen for me and I 100% recommend it! I loved the characters, I loved the plot points, I loved that the book took place over SO MUCH time; I loved all of it! Go read it right now!!! This book is going to be made into a movie and I can’t wait to see who will star in it! I’m doing the book bingo and have 2 categories in a line too. Fun challenge!